Outside of the occasional DLC, vampires haven’t had a significant spotlight in gaming since the release of Vampire: The Masquerade in 2004. Recent developments such as Dark (2013) have tried to bring our favorite mythological bloodsuckers back, but have sadly failed. Come 2018, we now have DONTNOD Entertainment, paired with publisher Focus Home Interactive, stepping up to the plate to try where all others have recently failed with their vampire RPG, Vampyr. DONTNOD has seen massive success with their popular titles Remember Me and Life is Strange, proving that they’re a team capable of providing unique experiences. DONTNOD once again proves their ability to weave fantastic stories set in great environments with this title. Vampyr is set in 1918 London where the Spanish flu pandemic is actively destroying the population. The city is divided and spiraling into chaos as the urban wasteland suffers from the plague on top of rampant gang violence and mysterious murders. Vampyr places you in the decaying boots of Jonathan Reid, a renowned hematologist who awakens from a pit of corpses where he had once lain dead. Upon waking, he is immediately greeted by a new lust for blood, local vampire hunters, and voices in his head. Equipped with nothing but his military and medical training, Jonathan sets out to find who is responsible for forcing immortality onto him. Shortly after his journey begins, he realizes that he must also burden himself with the weight of London’s survival in his attempts to save the surviving residents from fatal disease. The setting for this game is vital to the experience, instead of simply being a backdrop for hack-and-slash action. In fact, the combat plays a small role compared to the time spent using your abilities to charm the locals and track trails of blood to crime scenes. Every district is suffering from different types of tragedies where Jonathan must utilize his different tools as a doctor and vampire to alleviate the suffering. The only source of intel at his disposal are the locals, but everyone’s looking out for themselves. Jonathan relies on the residents of London as much as they rely on him. Nearly every person you encounter is capable of being spoken to in a conversation with unique dialogue options. As you gossip with others, you learn secrets and facts about people that may seem redundant in the moment, but prove to be a point of persuasion in the future. Rarely will you find anyone who is standing somewhere simply to take up space; every person has a role or function. Not only is each person’s words important, but their health is, too. Blood can be used to evolve your abilities and can be earned through murdering really anyone you please as long as your capabilities to mesmerize are sharp enough. Don’t be so fast to drain every living thing you see, however, as people of interest are still your core source of information and quests. On top of this, disease will affect the quality of their blood, meaning it’s your responsibility to ensure that everyone stays healthy by crafting vigors and cures like the good doctor everyone knows you as. Just be warned: your actions have severe consequences. Anyone who dies, whether it be by your fangs or disease, will not return. If you kill enough people in one district or simply let enough fall ill, it won’t matter if you kill them, as they’ll begin to mysteriously disappear on their own anyway. You’re always free to find them later — just understand that they might be a bit different when you’re reunited. The system is very unique and plays a huge role in keeping you busy while playing, but that doesn’t mean that it isn’t flawed. You basically need to force drugs onto dying people to keep them alive, and even then, you being the only reason for their survival has absolutely no impact on how they feel about you. It’s a bit off-putting to cure a man of sepsis and then be told that he’d gladly kill me if I ever tick him off. For a game that focuses so heavily on decisions and their impact, civilians seem to have very little regard for how big of a role you play at times. The other monumental issue is the way disease develops in areas. Every time you rest, a day passes, which opens the possibility of people becoming infected. No big deal. Make some cold medicine, distribute, good to go. Right? Not always. Some missions will end with a sudden passing of days. At one point, I was doing a mission to try to gather resources to cure the people of a district, when I was suddenly met with “a few nights later.” Upon checking my map, I was shocked to see that half of the district was missing and was rapidly spiraling into chaos while every other district was in decent health. Considering this was a run where my goal was to kill absolutely nobody while also going out of my way to keep everyone healthy as frequently as possible, it didn’t feel like an even remotely fair turn of events. It’s become a cliché in game journalism to immediately jump to calling a game Souls-like, but that’s very strongly the case here when it comes to combat, along with a few other elements. Jonathan can carry two loadouts which can be changed mid-combat and which include guns, swords, two-handed maces, and many others. The combat revolves around locking onto enemies and dodging, combined with a flurry of attacks, which rapidly drain your stamina. As you advance you’ll gain experience, which you can spend when resting at your bed. Resting at your bed respawns every enemy that you’ve killed. 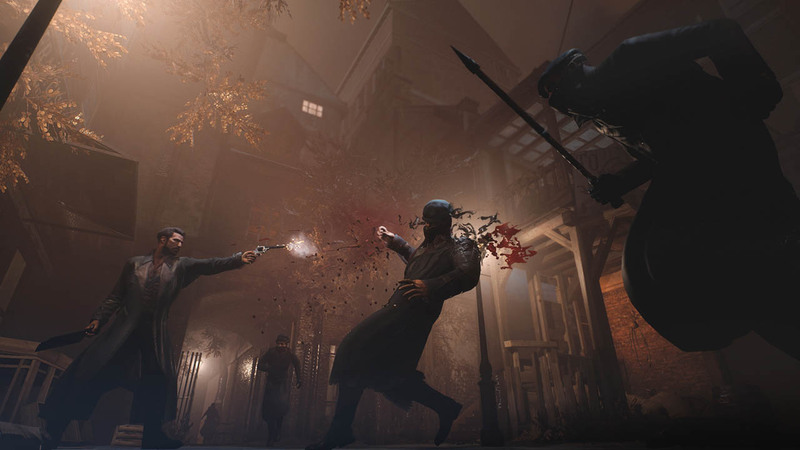 Vampyr doesn’t have any interest in invincibility frames, meaning that if an enemy is capable of being stunned, you can easily stun-lock them to death, but you can also be met with a similar unfortunate means of death. Combat is relatively easy for the majority of the game, but certain boss fights and areas crank the difficulty up so high at times that you’ll be scratching your head and wondering if you made a wrong turn or misread the directions. Most of my first playthrough was death-free, where I found myself killing most enemies without them being able to even attempt swinging back at me. Out of nowhere, Vampyr began spawning enemies that would sponge upgraded weapon attacks like they were nothing and deal devastating three-hit, 100%-to-death stun combos. The consistency of the difficulty doesn’t feel balanced, and the game punishes you for not harvesting the locals for their bountiful amounts of experience. It places you in a lose-lose situation where the goal may have been to encourage you to empathize with Jonathan’s lack of ultimate solutions given the circumstances, but only serves as a source of frustration and a waste of time. The great pacing of the early portion of the game is brought to a complete stop as you waste annoying amounts of time fighting the same grunts that keep respawning with huge health bars. Vampyr looks fantastic, especially when you realize that the entire team that made this game adds up to less than 100 people. The city is convincing, and the gothic mood and look are AAA quality. I was deeply impressed by the team’s ability to pair excellent lighting with such a dark and desaturated palette to give the world a perfect fit for vampires in gothic London. The level design itself is both amazing and poor in the sense that the actual design of areas is fantastic, but the way that they all connect is often confusing and badly done. Many areas offer shortcuts that link them to other areas, but there’s always a lack of direction due to the volume of blockades and locked doors that are constantly keeping you from getting to certain areas. The somewhat-open world often feels boxed in because of your constant need to check your map every few seconds to make sure that you’re going the right way, even though most of the time your destination should be within easy reach. It’s unclear why DONTNOD did this, but just like the damage-sponging enemies, it simply feels like unnecessary padding. The voice acting for Vampyr is very consistently good, with the occasional bit of cringey dramatic dialogue brought on by the cliché of high-society British vampire arguments. Some of the best dialogue in the game is delivered when Jonathan has information that turns opponents into a stuttering mess when brought up. His lines always reinforce that he is a powerful entity with more important things to do than waste his time being lied to. His inquisitive personality and attitude is never in doubt. The only drawback is that this is overplayed a bit, with Jonathan often narrating to the point where you are barely given any time to think for yourself. Any time something remotely interesting happens, he narrates everything before you have time to look around for yourself, which gets old quite fast. The only rough edges to note in overall polish are the fact that Jonathan, ironically, is one of the stiffest characters in the game. When speaking to others, most people are expressive, while Jonathan towers over them without moving a muscle. On top of this, his running animation also looks quite stiff and unnatural. The only other noteworthy visual issue is that everyone’s eyes are dead, resulting in them often staring through you when speaking to you, along with looking like zombies when making head movements. 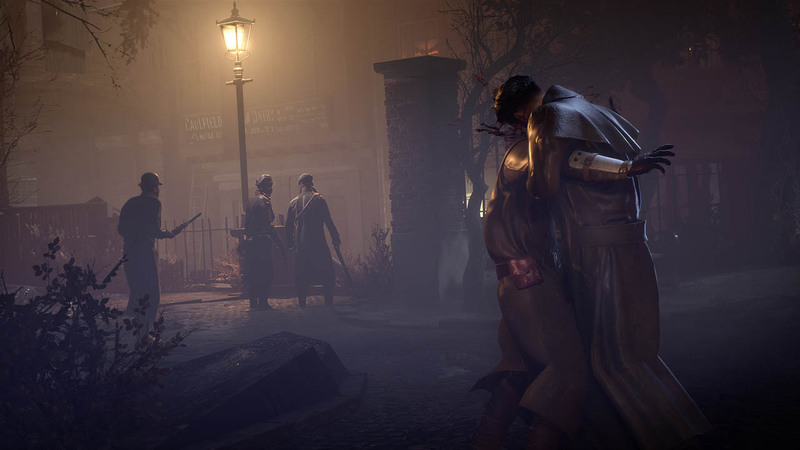 Vampyr takes bold moves and executes them well, but when it comes to combat, it often has players forgetting that they’re even vampires in the first place. Every character matters and every action has consequences, but Vampyr occasionally takes the wheel for better or for worse. Vampyr has a lot of lore and intends for players to really spend time listening and learning. If you can get past sub-par combat and appreciate Vampyr for the story it has to tell, it’s a title worth picking up. Sadly, its price tag may hold back gamers who have their reservations towards such flawed fundamental mechanics.